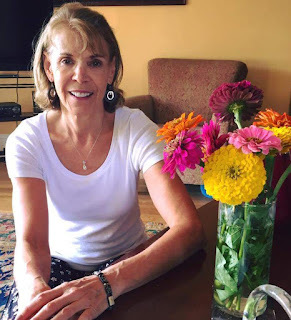 The Foundation is pleased to welcome Donna Rivers as the new support group leader in Portland, Oregon. Thank you, Donna, and welcome! “My desire to become a support group leader for the RLS Foundation is directly related to my personal struggle with the disease. During my longstanding battle with RLS, I have concluded the public, as well as some physicians, lacks knowledge regarding RLS and periodic limb movement disorder (PLMD). Interested in becoming a volunteer RLS Foundation support group leader? Visit our website to learn more about the role and how to apply! Recent research findings make the case for investment in a longterm infrastructure to train primary care providers in the United States to recognize and treat RLS. Currently, doctors do not receive such training in medical schools. In 2016, the RLS Foundation awarded a research grant to William Padula, PhD, of Johns Hopkins Bloomberg School of Public Health, to conduct an economic study on the value of accurately diagnosing and treating RLS. 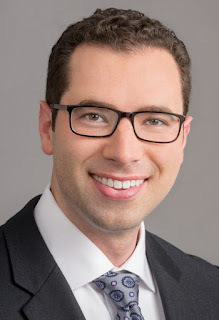 Padula, in collaboration with Christopher J. Earley, MD, MB, BCh, PhD, FRCPI, at Johns Hopkins Medicine; and Charles E. Phelps, PhD, MBA, at the University of Rochester; concluded that training primary care providers to correctly diagnose RLS would be cost effective. They found that in 65 percent of cases, the cost of training is expected to be lower than costs related to patients’ medical care, as well as lost work and time. Padula and Phelps will co-present their findings at the annual meeting of the International Society of Pharmacoeconomics and Outcomes Research (ISPOR) in May, and are preparing the results for publication in a medical journal. The study sheds light on a vexing problem: Since RLS is not covered in the medical school curriculum, patients who have RLS are commonly misdiagnosed by inexperienced or undertrained providers as having other chronic conditions with similar symptoms, such as Parkinson’s disease (PD), attention deficit hyperactivity disorder (ADHD) or sleep deprivation. Some evidence shows that the misdiagnosis and subsequent treatment for the wrong condition leads to worsening patient outcomes and high accumulated costs of care. For example, a patient who is misdiagnosed with ADHD may take medications that actually worsen RLS symptoms, and subsequently be misdiagnosed with PD. The period of misdiagnosis commonly persists for years, taking a significant toll on sleep and quality of life. The researchers collaborated on the design of a cost-effectiveness analysis to model scenarios of costly misdiagnoses leading to poor patient outcomes, as opposed to properly treating RLS. They applied their model using information from a comprehensive review of medical literature. Padula’s economic analysis on the costs of RLS is the first of its kind in the United States and will support the Foundation’s efforts to expand provider education. “Understanding the underlying factors – such as lack of provider education – that delay access to treatment and addressing them will ultimately improve patient outcomes,” says Karla Dzienkowski, RN, BSN, executive director of the RLS Foundation. Want to subscribe to NightWalkers? Become a member today to receive this quarterly member publication, along with other member benefits! After over two decades of service, Janice Schneider is retiring as the support group leader for Southwest Ohio. 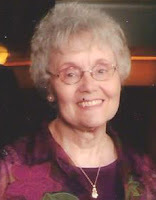 She dedicated countless hours to her support group and others seeking help, and her passion for providing support to those suffering was unparalleled. Jan will be staying on with the Foundation as a volunteer contact, so she will be available to continue to provide support to those seeking help via phone or email. Thank you for your continued support, Jan! I have been a facilitator for the SW Ohio RLS Support Group for over 21 years. The reason I was willing to help with a support group was that I care for people and what they are going through. I hope and pray that in some small way I may have made a difference in the lives of those I've had the opportunity to touch at the meetings or by phone. I know my life has been enriched by all I have interacted with. The RLS Foundation has been great to work with, and I thank the Kettering Medical Center for providing a medical advisor and a meeting space for us these many years. My hope is that the medical profession sees the seriousness of restless legs syndrome, and provides more training for doctors coming out of medical school. [I also hope] that funding will continue for research to bring a cure for such a debilitating disease. I look forward to keeping up with all that is going on through the NightWalkers newsletter, which I look forward to receiving each quarter. “Association Between Long-Term Quinine Exposure and All-Cause Mortality.” Fardet L, et al. JAMA, May 2017. Nocturnal leg cramps are common, affecting over one-third of adults over age 60 at least occasionally, and over half of adults over age 80. For many years, quinine was used for treatment of cramps, either as a prescription in pill form or through drinking tonic water for its high quinine content. In 2006, the FDA recommended against the use of quinine for leg cramps because of the potential for serious side effects or death. Despite this warning, use of quinine for the treatment of leg cramps has not ceased. Researchers used a large healthcare database of primary care patients in the United Kingdom to evaluate quinine use and mortality across approximately 175,000 people from 1990 through 2015. Individuals who were prescribed a dose of at least 100 mg per day of quinine for at least one year were each compared to three people who were not prescribed quinine. Those who were prescribed quinine had either cramps (96 percent of the quinine-prescribed group) or restless legs syndrome (4 percent), so controls were chosen with these same diseases (96 percent had cramps and 4 percent had RLS). People exposed to quinine were, on average, one year older than controls, and were prescribed an average quinine dose of 203 mg per day. There was a 24 percent increase in risk of dying during the study period in the group prescribed quinine. Considering only those people prescribed quinine for RLS, there was still a significant increase in mortality risk in those with a quinine prescription. Quinine pills are not recommended for the treatment of RLS or leg cramps. It is unclear whether daily use of tonic water, which generally contains less than 100 mg of quinine per liter, also increases mortality risk. Although there are multiple proven treatments available for RLS, data is very limited on how best to treat nocturnal leg cramps. As quinine is to be avoided, what treatments are effective for nocturnal leg cramps? 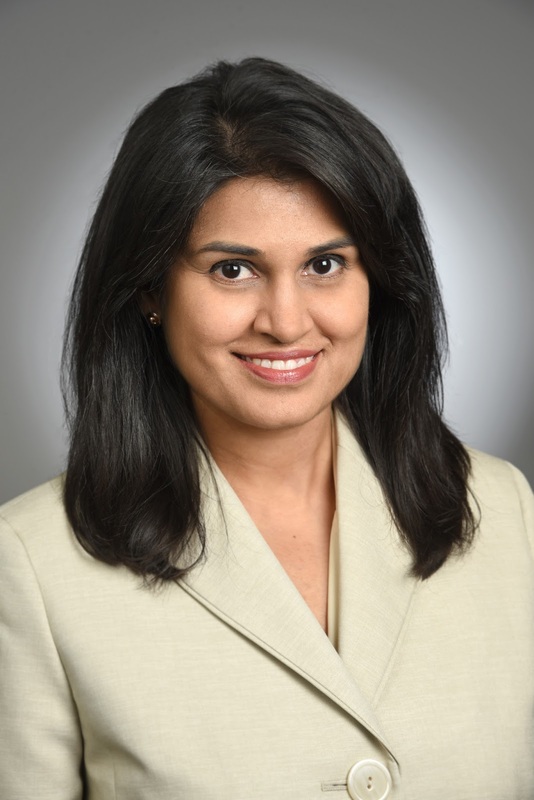 We are pleased to welcome a brand new member to the RLS Foundation's Board of Directors, Shalini Paruthi, MD! She is an energetic practitioner and scientist with a unique perspective on sleep medicine. Dr. Paruthi practices in St. Louis, MO, where she sees patients of all ages. She has a particular interest in sleep disorders of childhood – obstructive sleep apnea, insomnias, narcolepsy, and – of course – restless legs syndrome. Not only do her patients benefit from her extensive study; she is a teacher as well – as an adjunct associate professor of internal medicine and pediatrics at Saint Louis University School of Medicine. "We are grateful for the participation of Dr. Shalini Paruthi, and her willingness to share her most certainly unique, vastly informed and inquisitive point of view with the RLS Foundation as a member of the board," said Linda Secretan, RLS Foundation support group leader, fellow board member and head of the board's Governance and Nomination Committee. Dr. Paruthi is board-certified in Sleep Medicine and Internal Medicine, and received her medical degree from The University of Missouri-Kansas City School of Medicine. She went on to complete her internal medicine residency and sleep fellowship at The University of Michigan. Dr. Paruthi’s interest and energy extend to research pursuits as well, extending our understanding of sleep and its many disruptions and diseases. She is Co-Director of the Sleep Medicine and Research Center at St. Luke’s Hospital in St. Louis. She has contributed widely to activities of American Academy of Sleep Medicine (AASM) chairing sleep focused conferences, participating in task forces, serving on committees, including the Education Committee and national SLEEP meeting Program Committee. Currently she is on the editorial advisory board for Sleep Review: the Journal for Sleep Specialists. Welcome to the team, Dr. Paruthi!